Toilet bowls are commodity items in today’s modern world. 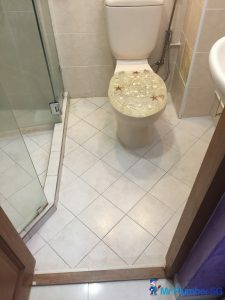 Toilet bowls are installed or replaced everyday around the world and in Singapore, as the number of housing such as HDB and Condo Apartments begins to rise, it is expected for plumbing companies to cover the job of installing or replacing toilet bowls for these apartments. 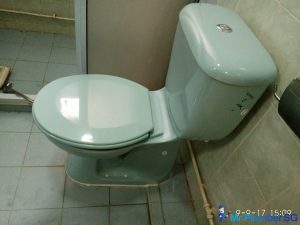 Most toilet bowls in the standard HDB flat comes with a standardized toilet bowl. 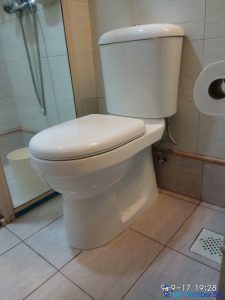 Thus, if you have your preferred brand/type of toilet bowl, you would have to take matters into your own hands and look for a plumber that can help you install your preferred toilet bowl. 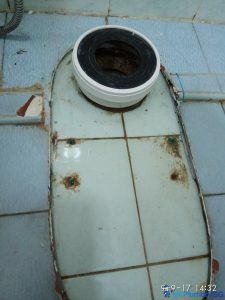 A toilet bowl replacement will become necessary when the toilet bowl begins to develop problems. 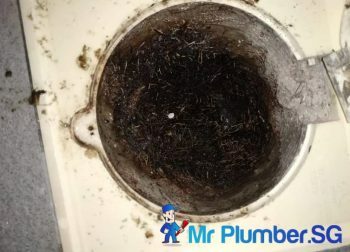 Old toilet bowls that have been around for some time tends to develop some problems, such as leaking. Did you know that a leaking toilet can cost you about 25 litres of water every day? This amount of water could be saved for other uses if the leakage could be resolved or prevented. A leaking or clogged toilet is not something to be taken lightly as it can lead to an extremely humiliating and unsanitary situation in your home. Therefore, it is important to know where to look for quality toilet bowl installation & replacement services. 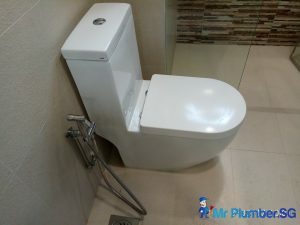 Look no further as Mr. Plumber specializes in toilet bowl replacement and installation in Singapore with many years of experience in providing excellent toilet bowl installation services. In this article, we will discuss more about the importance of engaging a reliable and professional plumber that can help you with your toilet bowl installation & replacement. Why should you get your toilet bowl installation/replacement done by us? Leaky toilets: Leaking toilet bowls always have a consistent running sound that can be infuriating. 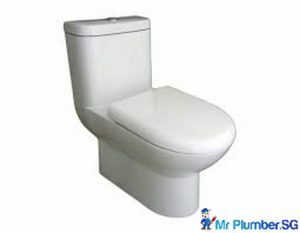 Our plumbers can repair most instances of toilets leaking by changing the toilet flanges, wax rings and other parts. If the repairs do not provide a definite solution, then a toilet bowl replacement may become necessary. 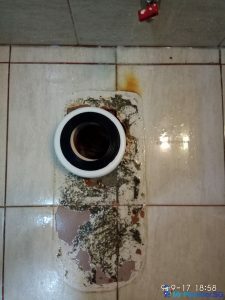 Clogged toilets: Toilet bowls usually get clogged when there is an accumulation of foreign items in the system like hair, bunched-up tissue paper or any other item that should not be found in the toilet bowl. Typically, a plunger should be able to unclog your toilet bowl. If this persists, you should consider a toilet bowl replacement rather than to continue attempting to unclog the toilet. Faulty parts: If you notice that parts of your toilet have malfunctioned or broken, and the items are irreplaceable, a toilet bowl replacement will become necessary. 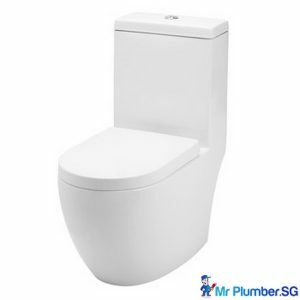 With Mr Plumber, changing toilet bowl in Singapore can be done easily. All you need to do is to call us today for a free consultation at +65 6653 6258 or send us an email at [email protected] to make an appointment. A toilet bowl replacement is always recommended when you have problems with your toilet because it can be considered a good investment into the comfort of your home. 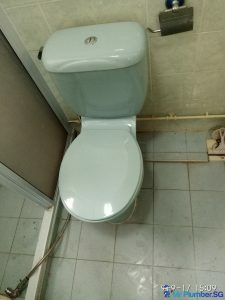 These are some of the reasons why a toilet bowl replacement in Singapore is always a great option compare to repairing the toilet bowl. It helps to reduce the amount of water that your toilet uses. When you have a faulty toilet leaking into the bowl, a lot of water is wasted which tacks on additional costs on your utility bills. Toilet bowl replacement costs are affordable and with a water efficient toilet bowl installed, it will help you save more money in utilities over time. 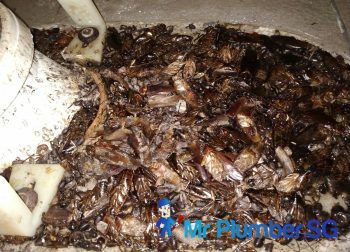 It improves home sanitary conditions and your well-being. A new, well-functioning toilet bowl is good for the health of your family and loved ones. When it comes to new apartments, owners might not want to have the default toilet bowl, so they would want to look into a more comfortable toilet bowl. Similarly, consumers would like to pick their own design for certain items in their household, so it’s of no surprise why certain toilet bowls are more desirable than others. It is essential to know a few things and the process of installing a toilet bowl so that you could also check on the toilet bowl installation process. Having a few tips about toilet bowls could come in handy when it comes to installation, replacement or even maintenance. And if you’re a practical person that likes to save on spending, you may even want to try installing the toilet bowl yourself. 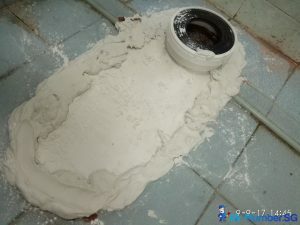 Before the installing the toilet bowl, it is vital to gather the main materials needed to install the toilet bowl so that the process runs smoothly. Installing a toilet bowl can be a very simple task compared to other plumbing works, and does not require any powered equipment. This is the primary item that you must have before any attempts at installing a toilet bowl. There are many brands in the market, each with its own attractiveness. Some popular brands in the market would be Baron and Saniton. 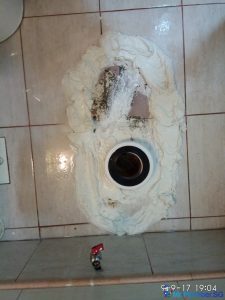 A wax ring prevents any leakage around the toilet bowl joint that is connected to the drainage pipe. It is usually placed around the flange (or the collar of the toilet bowl). An extended-height wax ring may be necessary if the flange is low. Closet bolts are used to secure the toilet bowl on to the ground so that it won’t move in place. You can opt to obtain self-adjusting bolts so that there is no need to cut the excess bolt length. These are flexible, braided steel connectors that can fit into the supply line located between the stop-valve and the flushing tank fitting. Its main role is to connect the supply to the flushing tank, supplying the tank with water. These act as the shimmers that fills up the gaps between nuts and bolts. In order to keep your toilet bowl levelled, a torpedo level will be very helpful to achieve that. 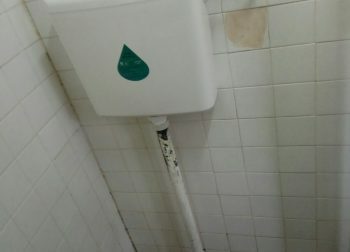 It is even used by plumbers to help them with their jobs. When it comes to handy work at home, an adjustable wrench is a must-have in tightening the bolts and nuts of the work item, which in this case, is the toilet bowl. One of the many must have tools at home. There are certain screws that needs to be screwed in place on the toilet bowl, and a screwdriver is necessary for this work. After gathering the needed items, ensure that you have everything by checking the checklist for the toilet bowl. There are many ways to go about installing a toilet bowl, but we will go with assembling the toilet bowl first before installing it. 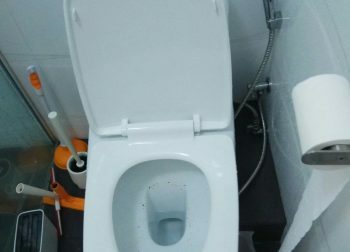 Do note that the tank adds additional weight towards the toilet bowl, so it may be better to attach it after installing the toilet bowl. Let’s assume that the area you are working on used to have a toilet bowl before, but it has been removed. Scrape off the old wax ring that was in placed with a disposable item (i.e. newspaper). After removing the old wax ring, inspect the flange for any damages or cracks. If it is, it needs to be repaired before any other works can be done on it. With the self-adjusting bolts, slip the bolts onto both sides of the flange and lock the washers down into place. You can choose to apply the wax ring on the flange or on the toilet bowl collar. But it would be more efficient to apply the wax ring on the flange as the wax ring may fall off when moving the toilet bowl around. If the flange is too low, do use an extended-height wax ring so that the area is properly covered. Carry the toilet bowl over the flange and align the holes above the closet bolts. After getting the toilet bowl into position, apply pressure and press the toilet bowl down on the floor into place. Apply the washer over the bolts, and tighten the nuts manually with your hand. Make use of the torpedo level to check if the toilet bowl is even from the front-to-back and side-to-side. If the toilet bowl is not levelled, apply the stainless-steel washers beneath the toilet bowl to shim the area until satisfactory. Thereafter, tighten the nuts on the closet bolts with a wrench (take note to ensure that it is not too tight as it might crack the porcelain toilet bowl). Then attach the bolt caps to hide the closet bolts. Once everything has been installed properly, the supply valve can be turned on to allow the tank to fill up. Inspect for any leakages and make adjustments to the fill valve to ensure that the water meets the fill line. This step is mostly optional so as to enhance the aesthetics of the toilet bowl. Caulking refers to the application of a rubber sealant around the base of the toilet bowl. It is advised to leave a small gap around the caulk so that any leakages can be detected early. Thus, concludes our walkthrough over the installation of a toilet bowl. 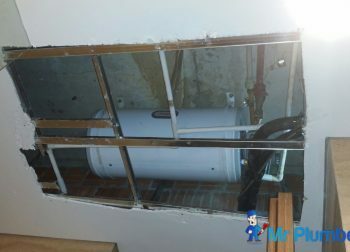 If the process still puzzles you, it might be in your best interest to get a Profession Plumber to assist you with the installation process. 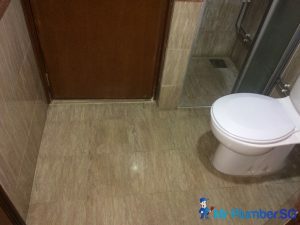 The information above would be useful as a guide for you to run checks with the plumber during the installation process, so that the toilet bowl can be installed without a hitch by the plumber. 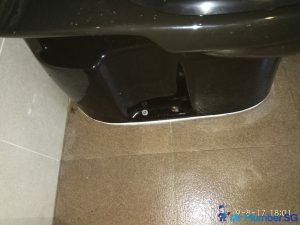 It can also provide you with extra assurance for the toilet bowl, and extra familiarity with the plumber so that if there’s any other issues in the future, such as toilet bowl choke, the plumber would be able to pinpoint the issue easily. 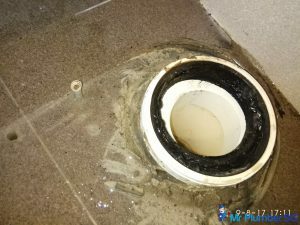 Here are some of the cases of toilet bowl installation and replacement that our plumbers under taken (Click on the link to view the full project). 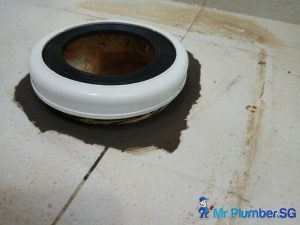 It is essential to engage a reputable plumbing company like Mr Plumber Singapore to help you with your toilet bowl installation. 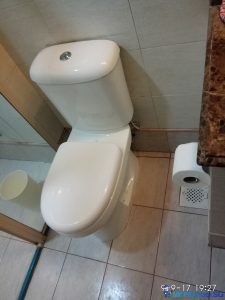 Toilet bowl installation is not something that you should try to do yourself if you do not have the relevant knowledge, to avoid a domestic disaster. 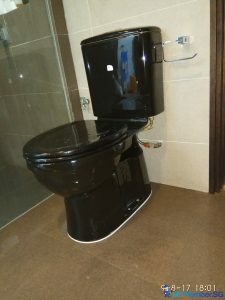 With our in-depth knowledge on the proceedings as well as a wealth of experience in this area, we are able to help you from supplying to installation of the toilet bowl. You do not need to worry about buying toilet bowl of the wrong dimension. 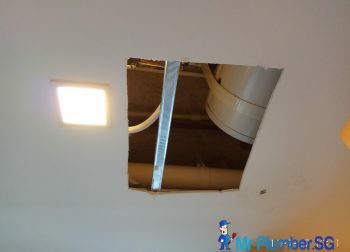 Our experienced plumbers are able to install HDB, Condo and landed toilet bowls as seen from the cases we have done above. 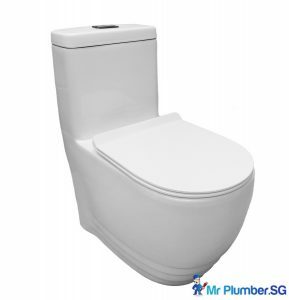 Let our experienced and professional plumbers take care of your toilet bowl installation in Singapore. We get the installation done correctly the first time and give you a service guarantee on all our toilet bowl installations. We can also help you get toilet bowl prices and help you choose one that best suits your home’s living conditions. We have an affordable pricelist of plumbing services that can suit your needs. When your toilet fails to function properly, they can be many factors contributing to the issue. Having a reliable plumber to help you with the toilet bowl issue can help ease your mind. Call us today for a free consultation at +65 6653 6258 or send us an email at [email protected] to make an appointment.